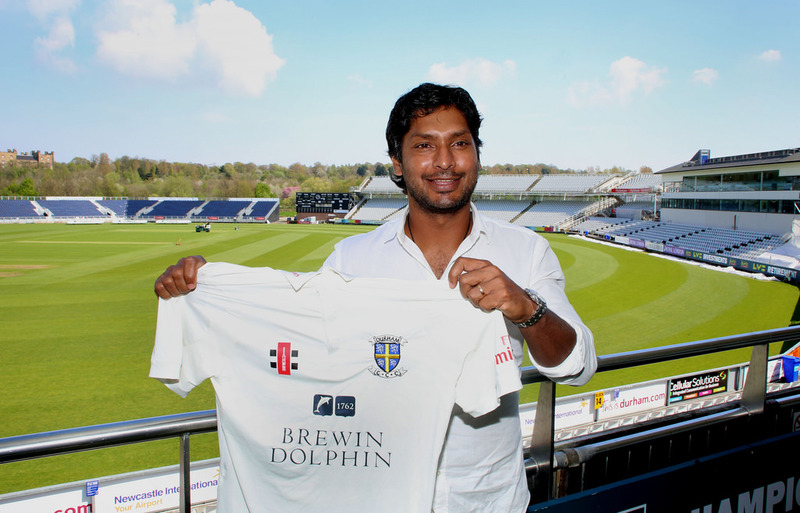 Kumar Sangakkara poses for photographs after arriving in England to play for Durham CC in the English County Championship on April 29, 2014.
will they show these matches on tv? 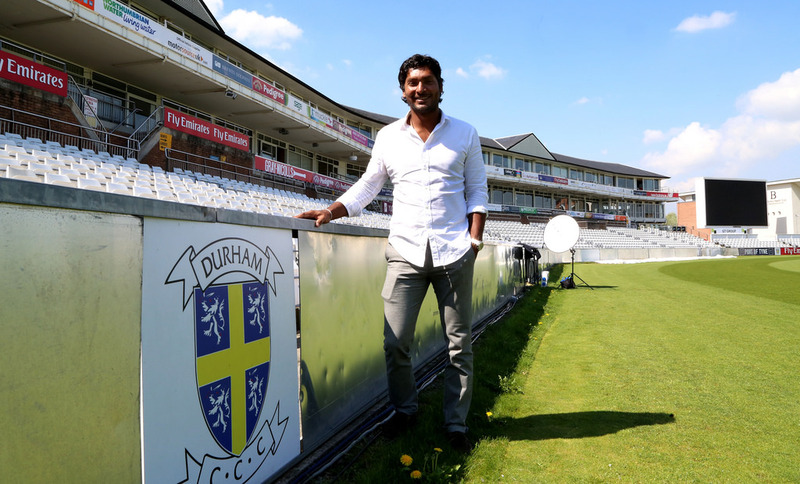 The Durham v Yorkshire match will be shown on Sky Sports here in UK. 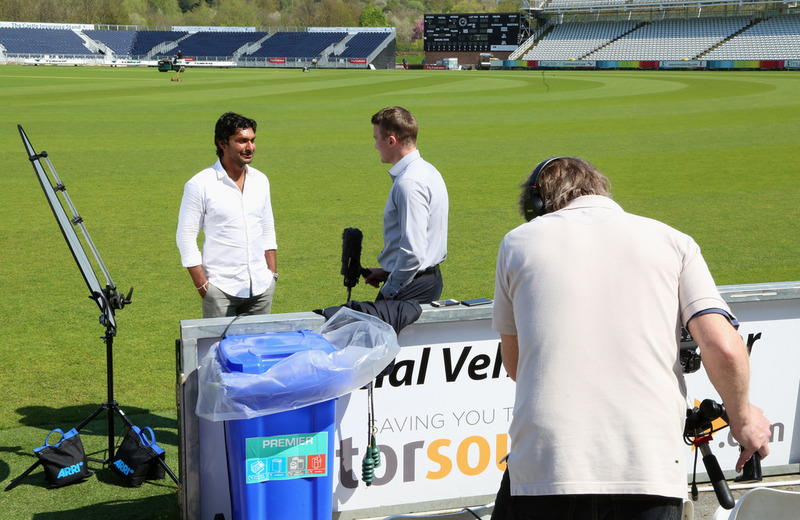 Highlights should be available without geo-restrictions at ecb.co.uk.